Sassoon Professional and Wella Professional are two of the most reputable names synonymous with the world of hairdressing. They have both announced that experts representing both companies will be in attendance at the London Olympic Games 2012 to help pamper the all the hardworking athletes, coaches, media and very thoughtfully the Mom’s of the athletes. Proctor & Gamble are running a pop-up salon for the duration of the games. 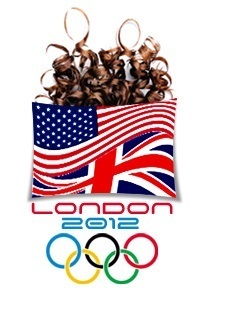 The Worldwide Olympic Partner has selected an elite team of hair and coloring experts selected via UK contests over the past year, to man the salon, which will be based at the Proctor & Gamble Salon based in Mortimer Street, London W1 from 25 July until 11 August. Hair, beauty and other grooming treatments will be available to athletes taking part in the Games, as well as their families and media members who are in attendance. Experts from Wella Professionals, Sassoon Professional, Sebastian and Noxin will be working alongside some special guests to provide complimentary treatments to those at the heart of the Olympic Games. Athletes wanting to look their best can avail of cuts, coloring and conditioning treatments, as well as skin consultations from Olay, make up from Max Factor and Cover Girl and shaving from Gillette. Hair, beauty and grooming treatments will be offered to an international contingent of athletes, their families and members of the media – with an anticipated 25,000 treatments set to be administered throughout the course of the Games. Kosmos Hair Salon being international would like to wish all participants in the London 2012 Olympics the very best of luck, just a bit more luck for TEAM USA !! !